Easter wouldn't be the same without the Bunnies! Take for instance Mrs. Peter Rabbit. She loves celebrating Spring wearing her Easter Bonnet! 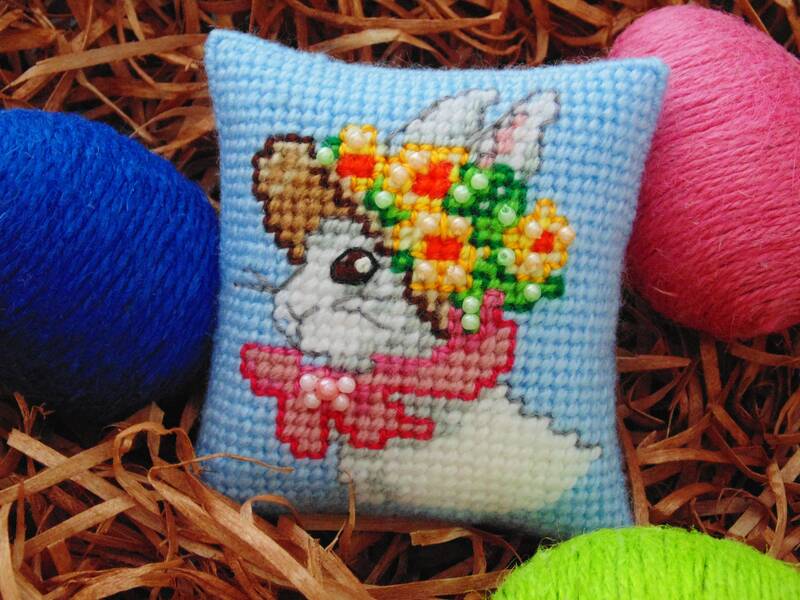 Needlepoint Pillow is Approximately, 3 in. by 3 1/2 in. Stuffed with fluff for added dimension! FILL THOSE BASKETS, ADD TO YOUR OWN COLLECTION, GIVE TO A FRIEND OR LOVED ONE!! And, if you would like a HANGING STRING, just send me a message when you order. I can put on a cord or a ribbon string.